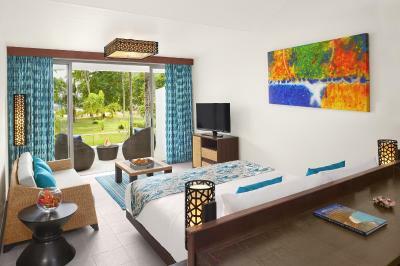 Lock in a great price for Avani Seychelles Barbarons Resort – rated 8.2 by recent guests! Brilliant location especially since there was a light breeze in the afternoon which helped cooling down. Pool good size, rooms clean and large. The Hotel is in a nice location, with a "private beach" (no beach is private in the Seychelles, as far as we understood, but since there are no other properties around, the beach is at the sole hotel guests' disposal. Only an occasional local would pass by once or twice a day). Food (buffet) on Indian night was top notch, with freshly prepared and served Tikka Masala and Paratha bread (by two cooks) was an excellent touch, worthy of a 5 star hotel service. Other nights we decided to eat at the à la carte restaurant included in the HB (only the pre-set menu though), which was good to alright. Availability of gym facilities, albeit very small (~10 pieces of equipment in total), was a definitive plus, especially as a refreshing break during the hottest times of the day. Staff is generally attentive, but be prepared to chase them if you want something quicker than their normal pace. Pool water was refreshing and kept relatively clean. They tried to be helpful. A little soft skills training would have helped. The suite was spacious, the swimming pool was great, the beach is very nice. The staff kept the room very clean and in general all staff was very friendly. The location is superb and the beach front is spectacularly beautiful. The staff was quite friendly and helpful. We arrived early and our room wasn’t ready yet. However knowing that we had a ceremony n had to get ready before checking in time, they provided another room for us. Rather than just doing their job they were trying their best. Waiters, spa staff, receptionists, even the chief at the restaurant did amazing job. Thank you ! We love the ambience of the resort. Peaceful, chill and relaxing. The food on Tamarind restaurant was delicious. Chef Wirat will give you an ultimate food experience especially for special occassion. We love the beach even it has strong current sometimes. Staffs will smile and greet you. All facilities are great. 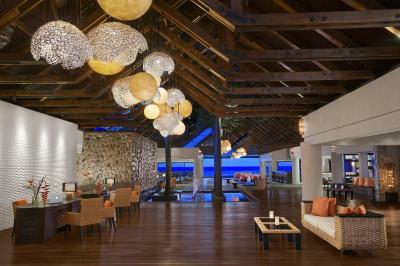 You can find everything you need in this resort from pool to beach, spa , the best restaurant Tamarind and more. The staff are very nice and always welcoming. Avani Seychelles Barbarons Resort This rating is a reflection of how the property compares to the industry standard when it comes to price, facilities and services available. It's based on a self-evaluation by the property. Use this rating to help choose your stay! Located 50 feet from Barbarons Beach, AVANI Seychelles Barbarons Resort & Spa offers a tropical garden, outdoor swimming pool and is located 8.1 mi from Victoria. Free WiFi is available in all rooms. The bright rooms feature air conditioning and come fitted with a flat-screen satellite TV, mini-bar, desk and safe. 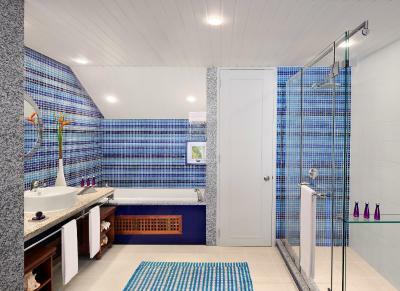 The private bathrooms offer a bath or shower and free toiletries. Each room has a balcony, some with a garden view and others with an ocean view. There is a variety of dining options available at AVANI Seychelles Barbarons Resort, offering a mix of international and local cuisines, light bites and drinks. Guests can relax and tan on the palm-fringed beach and explore the surrounding activities which include nature trails, tennis and a 9-hole golf course. 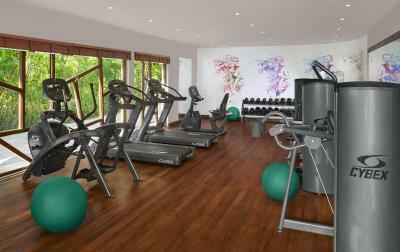 Other facilities offered at the resort include a fitness center and spa. The Seychelles International Airport is 9.9 mi away. This property also has one of the top-rated locations in Grand'Anse! Guests are happier about it compared to other properties in the area. 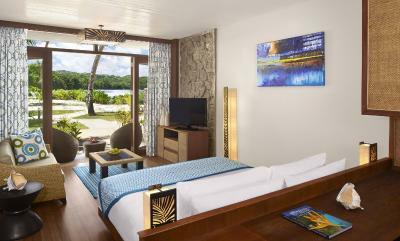 When would you like to stay at Avani Seychelles Barbarons Resort? This air-conditioned room features a flat-screen satellite TV, mini-bar, desk and safe. With a garden view, this air-conditioned room features a flat-screen satellite TV, mini-bar, desk and safe. 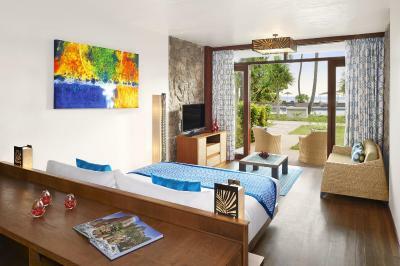 With an ocean view, this air-conditioned room features a flat-screen satellite TV, mini-bar, desk and safe. Located on the ground floor offering an ocean view, this air-conditioned room features a flat-screen satellite TV, mini-bar, desk and safe. Offering a balcony with views of the ocean, this spacious suite features air conditioning and comes fitted with a seating area, flat-screen satellite TV, mini-bar, desk and safe. 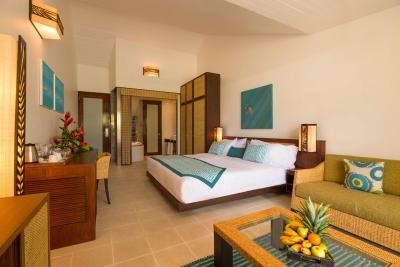 House Rules Avani Seychelles Barbarons Resort takes special requests – add in the next step! Avani Seychelles Barbarons Resort accepts these cards and reserves the right to temporarily hold an amount prior to arrival. Please inform Avani Seychelles Barbarons Resort of your expected arrival time in advance. You can use the Special Requests box when booking, or contact the property directly using the contact details in your confirmation. The only good thing about the hotel is that its right on the beach. Staff a bit rigid, had to explain ourselves to the wait staff during one of the lunch time meals. Some the party wanted to order from the bar menu while others wanted to eat from the lunch buffet but still sit together and we advised that we could not do this. Eventually resolved but should not have happened in the first place. Breakfast not up to standards for a 4 stars, average selection of food, very poor selection of fruit (in a tropical island...); same applies for the dinner buffet. Not worth. The check in time is 2 pm. When I arrived they took 2 hours to clean the room I booked, telling me it will be ready any minute and I eventually checked in past 6.40 pm due to my room not being ready etc. As a result I missed the dinner time which was at 7 pm and was exhausted from waiting. I couldn’t take advantage of the pool or the beach. There was no remedy offered nor would they agree to give me a late checkout. The reception staff were fighting with each other in front of the guests that prolonged the check in time. Very disappointed that I paid so much money to just sleep, take shower and get out and offered no remedy. Breakfast is somewhat poor and unless eaten during the first 15 minutes of being served (buffet being opened), all pastries taste soggy/stale (other hotels we stayed in, did a much better job keeping them fresh) despite having the same climate and humidity challenges. Buffet has 3 predetermined juice options, none of the days we stayed featured pure orange juice, even though mixed fruit juice is being mixed out of juice boxes behind the counter and despite my request to have pure orange juice (allergy reasons) I was told that the hotel doesn't offer orange juice. Food and beverages (especially water) are HUGELY overpriced as compared to other places we stayed at. Be prepared to pay EUR 10+ for 1 liter bottle of water at AVANI (other 4&5 star hotels charged EUR 4-7). No water sports equipment, but that could be due to rougher ocean outside of dedicated swimming area (approx. 30x20 meters). Can not regulate AC temperature, only super cold air, which is not what you want, especially during the night. If it rains heavily or for prolonged time (1 hour +), be prepared to see blankets laid out around the restaurant to absorb and keep water out. Spare beds/mattresses are kept just outside the rooms and look very stained. If ordering room service and leaving your dishes outside the room after you are done, be prepared to see them stay there for the entire day (attracting insects and small animals). Property is located at a private beach and the property in itself is a holiday point. One can enjoy relax , walk along ocean , swim dine n drink. The property is just full package in itsef . Staff is too helpful and the amenities are just perfect to utilise. Towels.. beach towels around the pool ran out quickly. We are ealrybirds.. usually we like to go for a swim before breakfast etc.. nooo towels. The rooms were nice and a little away from the main house so you got some real quiet time in your room. Breakfast and dinner buffee were great. A lot of variety to choose from. Not consistent with their service. — we arrived there, no one greeted us/no welcome drinks/ no towels. We thought oh maybe they don’t do that here. Next day we saw a couple arriving had towels/welcome drinks .. guess you have to pay for that one? Or they select who they want to respect? — We shared our sentiments to front desk and they gave us welcome drinks upon checking out? — I mean what’s the point? Did they think we want to drink a “welcome drink” upon leaving? I don’t know maybe he thought we just want to taste the welcome drink. Lol room 171 — bathtub looks dirty. I had rashes all over my skin after I woke up the next day. I assume it’s from the blanket. I also specifically asked for 2 beds. For medical reasons. They gave me one bed. I had to sleep in the sofa. Very disappointing. Food doesn’t taste anything. Hotel is totally isolated and kind of in the "wrong side" of the island. There isn't any restaurant or shops close by. There is also nothing to do in the hotel, so it got really boring after a couple of days. There were lots of options in the breakfast but after few mornings I notice that there were only very few options that really tasted good, so after a week you were sooo happy to go home and eat something else for breakfast. Also lots of flies flying around the breakfast tables. Staff was ok for the most of the times, but we got also few rolling eyes and laughs from them, and sometimes they forgot what they had just promised for us. So to compare for example service level in Thailand, they were not as kind and service oriented here in Seychelles. Hotel was ok, but the price was REALLY high, so I don't think that we got what we paid for, but it seems to be the trend in the whole island, not only in this one hotel. Nice beach in front of the hotel. Nice pasta carbonara for the most of the days (one day there were obviously different cook in the kitchen since the carbonara just really was different: no salt, no cheese on top of the pasta, and cream just was floating all over the place with zero taste in it. Room was ok, and view was nice, but of course you had to pay extra for that too! Well, the resort is bit worn out, and everyone know that. It is a bit of wanna be approach here. There are proper views in this resort: the beach, view from the lobby, the lush green high behind, and the palm trees. Hotel is very nice, large, with a nice pool and garden. You can stay there for the whole day if you don't want to take ca r. Food at the restaurant was very good as well. Bed mattress was very good, we slept like rocks. Beach is long, wide and the view is nice as well. You can stay on the terrace near the beach and drink local rum for hours :) Staff was amazing. Mahan was very helpful when a small sea archer got into my feet. He and his colleague drive to a nearby hospital in 2 occasions. Wonderful place to stay in Seychelles. The food is delicious, especially Creole and fisherman's dinners. Dedicated and friendly staff.